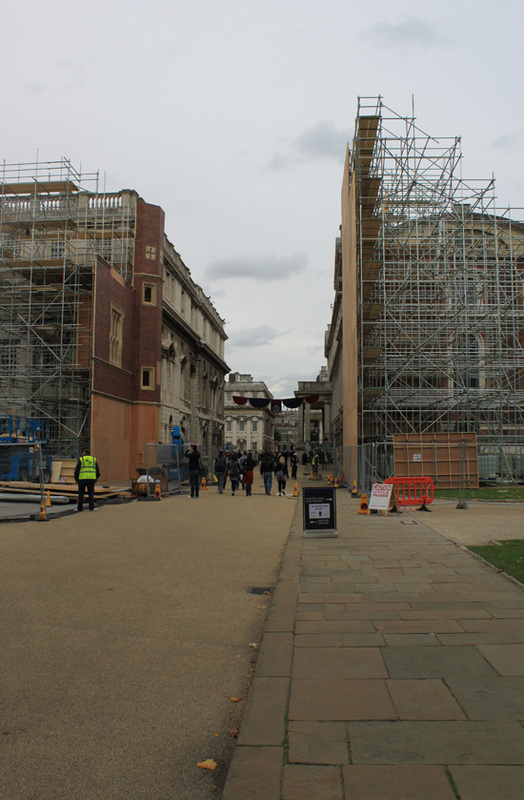 In September 2010 on a trip to London I stumbled into the sets being built for the London sequences of Pirates of the Caribbean: On Stranger Tides at the Old Royal Naval College in Greenwich. It’s funny how your memory can play tricks on you – I thought I had quite a few pictures of the sets but I’d only taken two. Thinking back though I’d gone a bit mad taking photographs earlier on the Thames, at the Observatory and around the National Maritime Museum by the time I got to the College my feet hurt and it was trying to rain so I put my camera away and used my eyes for looking instead.